Today’s economy is tough and so we’re always looking at ways of reducing our overheads. Some things like the price of petrol and eggs for example we have little control over, but learning how to reduce your paper waste can be a real cost saver. With a bit of creative thinking in the office (an environment you can control, albeit somewhat) there are some things you can do that can have an immediate and lasting effect. Let’s take the use of paper in the office. 20 years after some predicted we’d be paperless by 2000, we are seeing record levels of paper usage in the office and also now at home. Not sure what happened to the chap that come up that prediction, suffice to say he is not likely involved in trading futures or commodity markets. A quick, but clean trick that will immediately reduce your paper waste in the office is to simply make sure you print on both sides of paper. Yes I am sure that some of you already know about this idea but sometimes for those doing volume printing it can be a hassle and if it is, then it would be difficult to justify the additional labour time cost involved in fiddling around with the printer trying to get it to manually feed in the second side after printing the first. But there is an answer, rather than completely discounting the idea, consider looking at upgrading your printer to one that will take this hassle out of the equation with a dedicated second side automatic handler. These are known as duplex units and they are common among in the laser printer family of office printers. But not ALL laser printers have them, you have to look carefully and be sure that they either come with that feature or can be purchased as an option. So what do they do exactly? A duplex unit will manage the turning over of the paper for you automatically so that when you hit print, you can forget about it, go grab a coffee or do something else productive. This is how it works; the printer picks up the paper, prints on one side first and then turns the paper over inside the printer and then re-feeds it back through for the second side printing and then exits.. Voila! you have done it, a double-sided print on one sheet of paper and effectively cut your paper cost bill in half, now that’s what I’m talking about, real and measurable savings. So when you’re in the market for a new printer, along with measuring the cost per print, be sure to look at those that come with an automatic duplex unit, yes they are more expensive but they are just way way better and you’ll not only save a heap of money on paper, but you’ll also improve productivity in the office, so you’ll enjoy double savings, labour and paper! 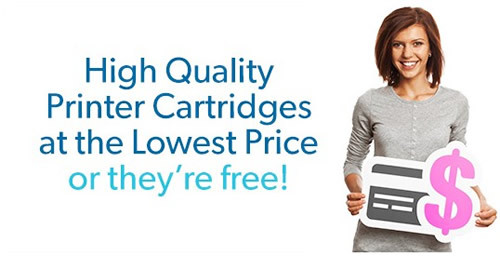 Don’t forget to check out the best prices on photo paper and printer cartridges at our web store at inkjetwholesale.com.au below by clicking on the image. We love coloured photos, but colour printing costs 300% more!